As many of you know my son Connor was born at 31 weeks and 4 days, he was a tiny 4lb and went down to 3lb12oz so was in the NICU for 5 weeks. This pregnancy I’ve been panicking, thinking what if it happens again? What will I do with Connor with all the hospital visits? How will I cope with another premature baby? So I thought the only thing I can do this time around is be overly prepared, hence all our baby stuff being ready at 30 weeks and my hospital bag being packed and by the door, ready to go in case of emergency. Now I’m at 32 weeks I’m so glad I’ve made it passed Connors birth week so anything now is better than previous! So for any fellow pregnant mama’s out there struggling to think of things to put in their baby bags here’s what’s in mine! clean pyjama’s (I’ve bought some new cheapy ones from Primark as they’ll need to be a bigger size so I probably wont wear them much after the hospital stay). Big knickers! or disposable ones if you’d prefer. (again cheap ones from Primark will do as they’ll only be going in the bin after). Breast Pads, loads of them! Big sanitary towels and lots of them too! trust me you’ll need them. shower gel and moisturiser. All you’ll want to do once you’ve slightly recovered from birth is get clean so make sure you have your shower bits with you! Dressing gown and slippers. when I had Connor I had to take hundreds of trips to see him in neonatal so slippers and my dressing gown were a god send in the first week. This is totally down to preference though, I know I’m going to be in hospital for at least a couple of nights but if you think you’ll be in and out fairly quickly these items may not be needed. some bb cream if like me, you don’t want to scare everyone makeup free! snacks and drinks- if you think you’ll have time you can do this once your at the hospital or on your way in. Or assign your partner to this job! bikini, if your planning on having a water birth. change for parking if needed. At least 2 long sleeve and 2 short sleeve baby grows and vests. I’ve over packed for clothes and prepared for all sizes too so pack for how long you think you’ll be staying. Nappies. handfuls of them just in case. a couple of muslin squares. If your bottle feeding- pack milk. I’ve bought the small premade bottles as they seem to be the simplest thing to go for while in hospital and because I’m there for more than 1 night I wont need to pack a steriliser. I may change my mind all together and breastfeed but its best to be prepared for every scenario. Don’t forget the car seat to take baby home in! It’s so stressful planning and preparing for the arrival of a baby, panicking that you’ve not got a majorly vital item or you’ve forgotten some sort of clothing your sure you won’t be able to live without. 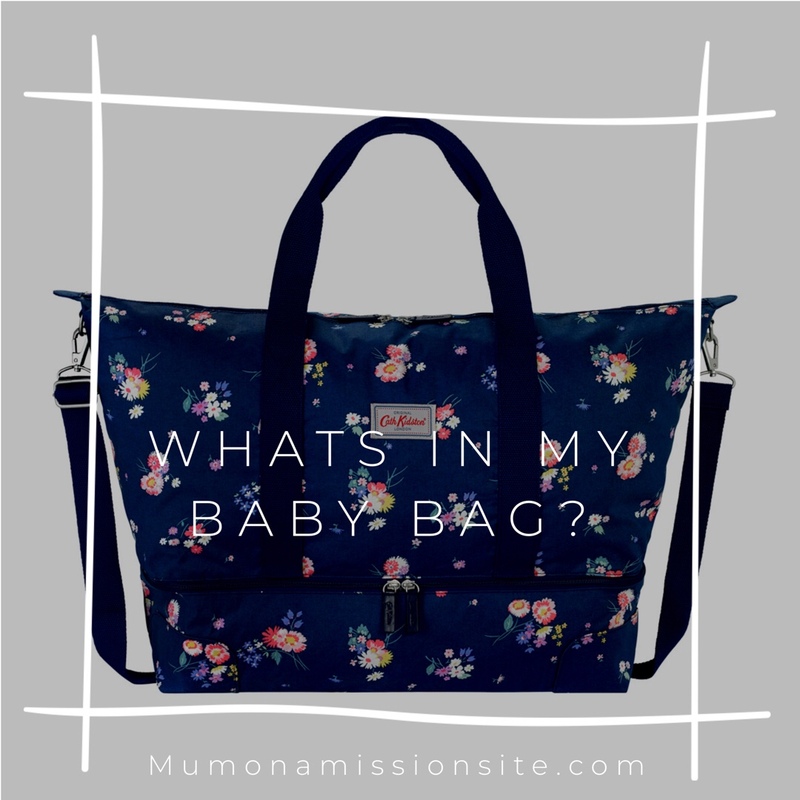 Take it from me and don’t sweat the small stuff, if by any chance you have forgotten a couple of things I’m sure someone will pick them up for you before you bring your beautiful baby home! If all else fails hopefully I’ve taken one less stress away with my baby bag lists! !🙌🏻 You may also find it helpful checking out my 10 wardrobe must haves for surviving a summer pregnancy! Previous My 10 wardrobe essentials for surviving a summer pregnancy! I packed a sarong for the hospital. I had a summer baby and found it perfect to lay over me if the A/C got a bit cool or if I wanted to cover up during a feed as it was much lighter than a blanket. I also wore it as a skirt as I ended up with an emergency c-section and most of my clothes sat along the scar. This is genius! What a useful tip that you’d never think of! Thanks for sharing Hun!